The Innisfallen Hotel is conveniently located at the gateway to the Ring of Kerry and the Wild Atlantic Way. 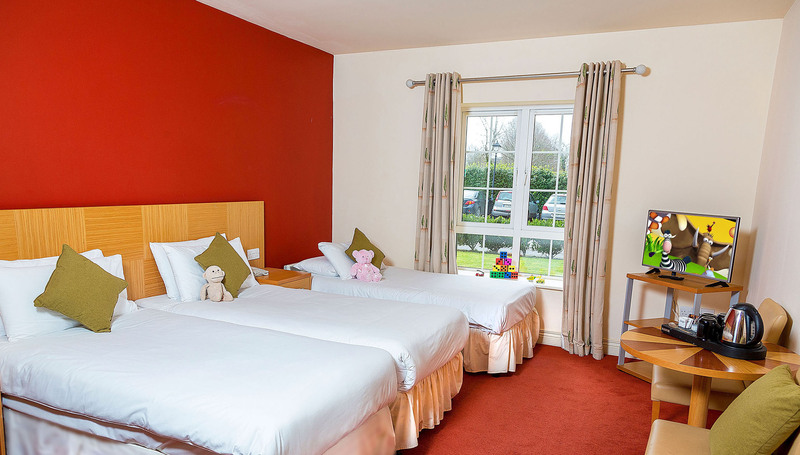 The Hotel offers glorious views of the Macgillycuddy Reeks and the world famous Lakes of Killarney. 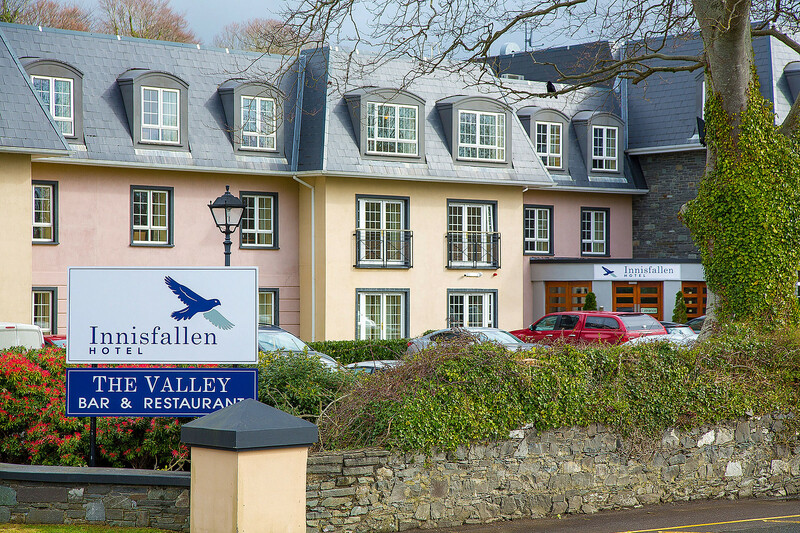 Located in Fossa, on the outskirts of Killarney town, Innisfallen Hotel is an ideal base to explore the South West region of Ireland. The Hotel is situated at the Ring of Kerry road, the N72, approx. 3 miles from the Killarney town centre. Whether its hiking, golfing, a trip in a jaunting car, a hot jacuzzi, or a scenic cruise, Killarney has something for everybody. Situated at the gateway of the Ring of Kerry, the list of possibilities is endless. Hotel was excellent. Room was very spacious with additional area with kitchen and dining facilities. 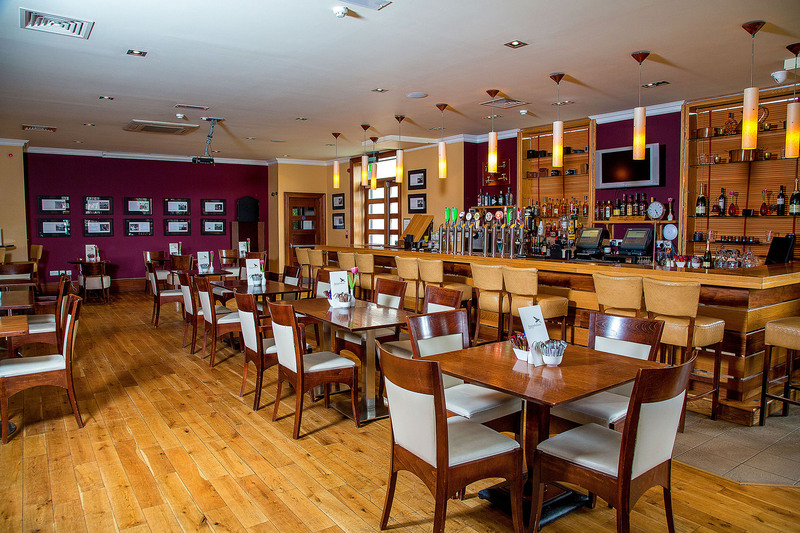 The food in the bar was excellent also and all of the staff really helpful. Only issue was that we were woken on both nights by other guests returning home after nights out and the noise went on for a long time. Turns out it was a Hen night staying in the room across from us. Very noisy. Other than that it was a fin hotel with good facilities and nice food. Would return if could be guaranteed no hen night staying across the hall! Fabulous Hotel, beautiful room, very friendly and helpful staff, Food excellent, will definitely go there again. Nice hotel about 5mins drive from Killarney. Only pity that they don't have a shuttle bus to their sister hotel The Glen Eagle so we could have used their swimming pool. Nice breakfast and friendly staff. Lovely hotel very friendly staff. Had dinner in bar which was very nice. Very good breakfast with hot food made to order. Best power shower I've ever had. Would definitely recommend this hotel. THE HOTEL WAS LOVELY CLEAN AND COMFORTABLE . Location perfect for us, room as requested - non-smoking & quiet.Both room & en suite spotless. Staff very friendly. Great choice for breakfast. Really good value. So clean, breakfast lovely. Receptionist Sheila so welcoming and helpful. Would definatly go back. Highly recommend . On approaching the hotel, it looked quite plain, but we were pleasantly surprised as the foyer was very welcomiing, with a living room feel. Our room was very spacious with a super king size bed and very clean. The view from the room was beautiful, looking out over the mountains, very pretty indeed. The bathroom was excellent, very spacious with .soft fluffy towels, tiled from floor to ceiling in the grecian style nad scrupulously clean. I have to say that the bed itself was firm but soft and made me want to stay another night! It is a mistake to underestimate the importance of a comfortable bed. We then went to the bar in the evening where the atmosphere was friendly and the highlight was three ladies singing in perfect harmony and playing traditioal music, they turned out to be sisters who lived locally! They were a real asset to the hotel as we did not have to get a taxi to find entertainment. Highly recommend. The breakfast was good quality and beautifully decorated. I will the looking for specials coming up in this hotel as I was very impressed. Had a lovely one night stay here. Rooms were spacious and warm. Staff were very welcoming and attentive. Food was very tasty! Lovely clean Hotel. Very friendly and helpful staff. Lovely food and a nice bar. We really enjoyed our stay there and will stay there again. We had a fantastic time during our stay at the Travel Inn. I can't speak highly enough of the staff. They were g=very friendly and helpful. The hotel itself is lovely. Inese Unda Really enjoyed the stay and would recommend it. Really enjoyed the stay and would recommend it. Will be back. I enjoyed my stay very much, the room was excellent, food good, but would have liked a different menu on the Sunday. Staff were very helpful. It would have been nice to have had tea and coffee in our room. Will stay here again. LOVELY BRIGHT CLEAN ATMOSPHERIC HOTEL IN GREAT LOCATION WITH AMAZING VIEWS. STAFF WERE APPROACHABLE, FRIENDLY, COURTEOUS & HELPFUL. OUR BEDROOM WAS BRIGHT, CLEAN & SPACIOUS WITH A GREAT BED. THE BATHROOM WAS 5 STAR. SPECIAL THANKS TO SHEILA ON RECEPTION FOR SORTING OUT OUR BOOKING IN A HELPFUL UNFLAPPABLE WAY. . I'VE FORGOTTEN THE NAME OF THE OTHER RECEPTIONIST & THE PHILIPINO WAITER BUT BOTH WERE CHATTY & HELPFUL. I WOULD DEFINITELY STAY THERE AGAIN & I WOULD ALSO RECOMMEND TO FRIENDS. A LOVELY EXPERIENCE. lovely staff and a brilliant stay.. The hotel staff were friendly and efficiant,and we found the accomodation very comfortable. The evening meal lacked imagionation, basic food, for the price in a time where competition seems to be missing. I can understand why tea/coffee facilities were absent in the room. Room for improvment.